The development of atherosclerotic plaques is often associated with the use of harmful products. Accordingly, in order to slow down the progression of the disease, proper nutrition should be organized in case of atherosclerosis. If necessary, medication or surgical intervention is required, supplemented by all the same dietary recommendations. Atherosclerosis is an inflammatory disease that affects the arterial wall with progressive accumulation in the intima of large arteries of lipids and inflammatory cells. Such pathological changes lead to gradual occlusion of the vessel, which in turn causes insufficient blood supply to a specific area of ​​the body (lower limbs, brain, heart muscle). 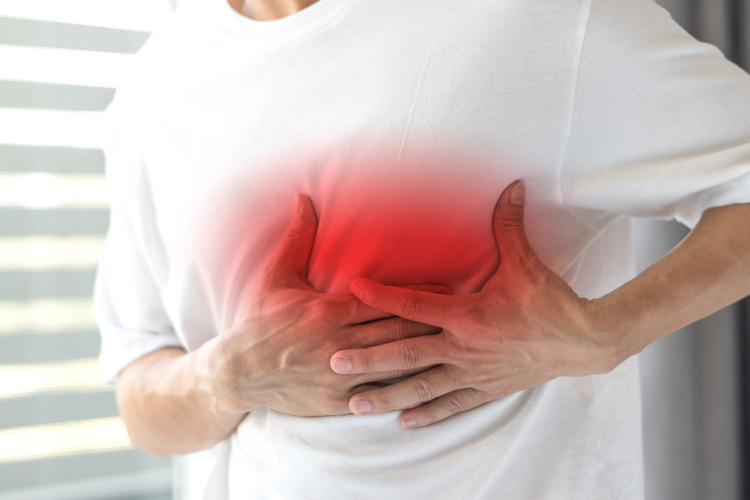 The risk factors for atherosclerosis have not yet been studied, but the greatest probability of development of the disease occurs on the background of smoking, alcohol consumption, inadequate activity, arterial hypertension and diabetes mellitus. 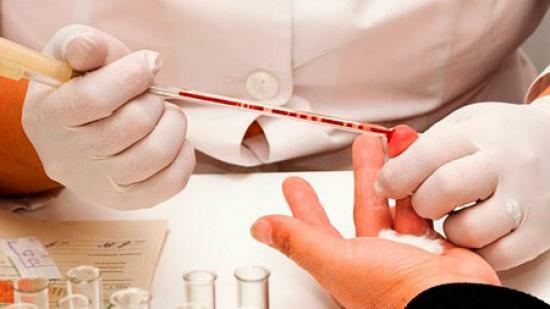 Different methods of research are used to diagnose atherosclerosis, but first of all blood tests, urine, and lipid profiles are usually performed. If necessary, angiography is performed, sometimes in combination with computed tomography and magnetic resonance imaging. Nutrition recommendations are mandatory in the course of treatment appointment, since this will significantly increase the chances of recovery. The results of research on dietary preferences in the Mediterranean regions showed their significant advantage over other parts of the Western world. These initial observations have been further confirmed by many other epidemiological studies and several interventional trials. In particular, the recent clinical trial of primary prevention of cardiovascular disease [1 - Estruch R, Ros E, Salas-Salvado J, et al. 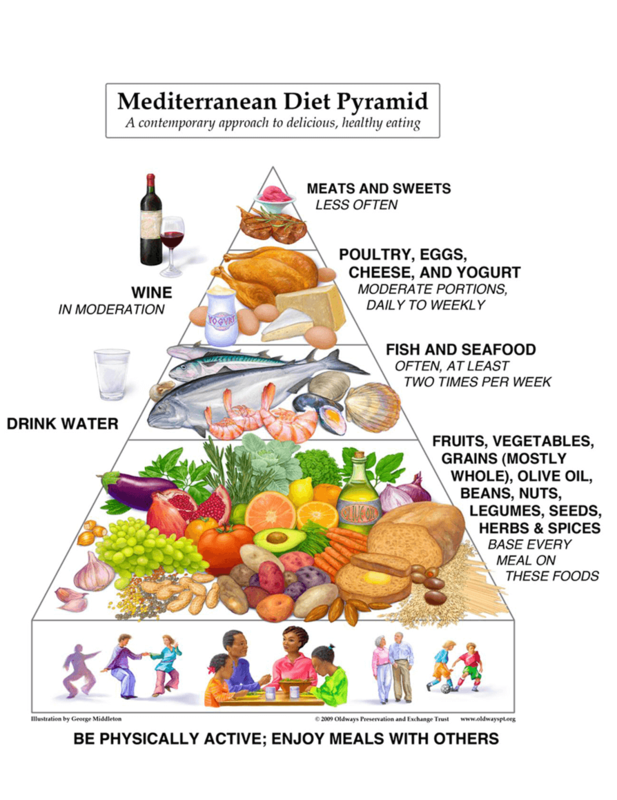 Primary prevention of cardiovascular disease with a Mediterranean diet. N Engl J Med 2013; 368: 1279e1290] and studying the diet for the heart in Lyon [2 - Estruch R, Ros E, Salas-Salvado J, et al. Primary prevention of cardiovascular disease with a Mediterranean diet. N Engl J Med 2013;368: 1279e1290] confirmed the protective effects associated with compliance with the Mediterranean diet in the primary and secondary prevention of cardiovascular disease. The Mediterranean Diet (MeD) refers to dietary foods that have been available since the early 1960s and are concentrated in the Mediterranean. It should be noted that this is not a well-written diet, but a set of habits of consumption of food, which are traditionally adhered to people bordering the Mediterranean Sea. Vegetable products with high consumption of vegetables and fruits (3 times a day). Whole grains (women 75 g / day, men 90 g / day). Extraclass oil (4 tablespoons per day). Nut (3-7 servings / week). Moderate consumption of fish and poultry (3 servings per week). Low consumption of dairy products, red meat and sweets. workplace health promotion. Curr Cardiovasc Risk Rep 2014; 8: 416]. said that the Mediterranean diet has an impressive influence on the prevention of cardiovascular disease. The healing properties of MeD were mainly attributed to the additive or synergistic interaction of various components in general. effects on the cardiovascular system such as oleic acid (u9) and a-linolenic (u3) fatty acid, antioxidants and polyphenols.These ingredients have been shown to have a positive effect, especially on arterial pressure, coagulation and endothelial function. As a result, the risk of atherosclerosis - the most aggressive factor affecting the cardiovascular system - is reduced. Nutrition fibers, or fiber , are a broad term for a variety of plant substances that exhibit resistance during digestion in the human intestine. They can be divided into two groups depending on the solubility rate in water. 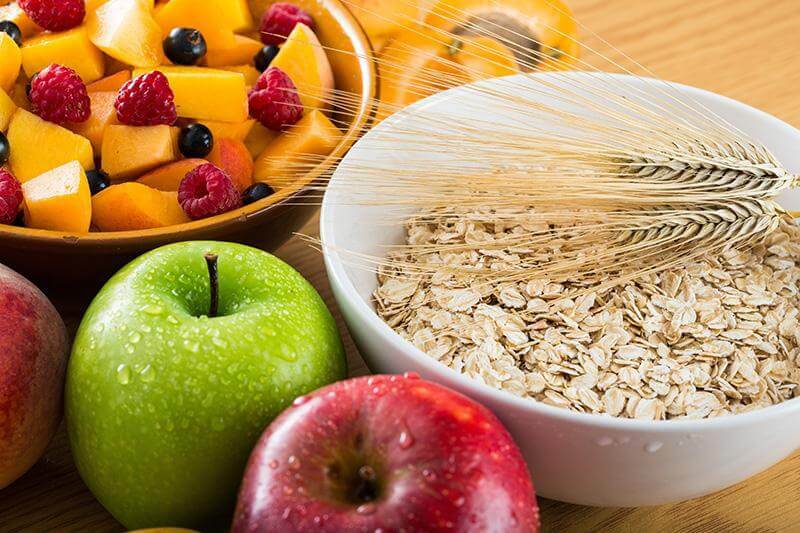 Sources of soluble dietary fiber include oats, pectin, psyllium, barley, flaxseed and guar GUM (guar gum). Food fibers such as cellulose, lignin and wheat bran are insoluble. Clinical trials have shown that diets high in soluble fiber are associated with a reduced risk of cardiovascular disease [4, Liu S, Stampfer MJ, Hu FB, et al. Whole-grain consumption and risk of coronary heart disease: results from the Nurses' Health Study. Am J Clin Nutr 1999; 70: 412e419]. In particular, during studies, there was a 12% and 19% reduction in the risk of coronary diseases after consuming 10 grams of food fibers each day. It is also indicated that the combination of soluble fiber and soy protein reduces LDL-X by 20% after 2 months of fiber intake. Thus, clinical data indicate that the decrease in LDL-X contributes to the elimination of atherosclerosis. It is believed that soluble fibers bind bile acids during interstitial formation of micelles in the intestine. This is largely due to physical capture, but not to chemical bonding. This leads to an increase in the synthesis of bile acids, a decrease in the level of cholesterol in the liver, an increase in the level of LDLr assimilation and an increase in the clearance of LDL. In addition, when the fiber is consumed, the viscosity in the intestinal lumen increases. This, in turn, slows down the absorption of macronutrients, captures cholesterol in the small intestine and leads to a decrease in energy consumption. When treating adults it is recommended to take 5-10 g of soluble dietary fiber daily for the therapeutic reduction of LDL-X. In this case, flatulence may increase due to the activity of fermentation in the large intestine. Symptoms are usually not very pronounced. In addition, a gradual increase in the diet of dietary fibers and the use of sufficient amounts of fluid can reduce the likelihood of unwanted manifestations. Olive oil is a major component of MeD. The protective role of olive oil against cardiovascular disease is traced in several studies. The concentration of the phenolic fraction in the olive oil varies depending on the variety, climate and degree of fecundity. The average concentration is 500 mg / l of olive oil. Of the various components of olive oil, hydroxythrosol is perhaps the most important. Nevertheless, the olive oil phenols are a complex combination of various compounds. 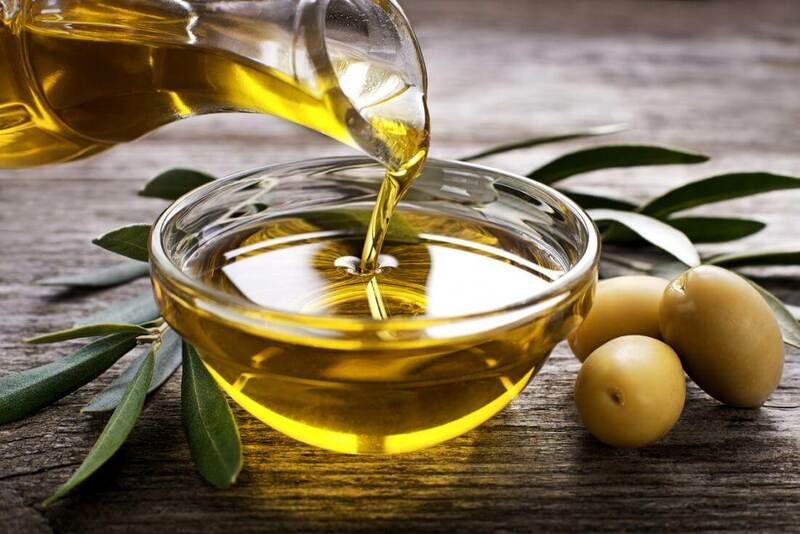 More recently, the European Food Safety Authority has issued a statement on the role of olive oil polyphenols (5 mg / day) in protecting LDL from oxidation. For today, LDL oxidation is considered a key link in the development of atherosclerosis and associated ischemic heart disease. Most studies confirm the positive effect of olive oil on the cardiovascular system. Nevertheless, one study with a small number of patients with angiographically confirmed coronary heart disease and normal plasma lipid levels when using 6 g of capsule olive oil for 28 months did not show any improvement in coronary atherosclerosis. less susceptible to peroxide oxidation of lipids compared to polyunsaturated fatty acids. 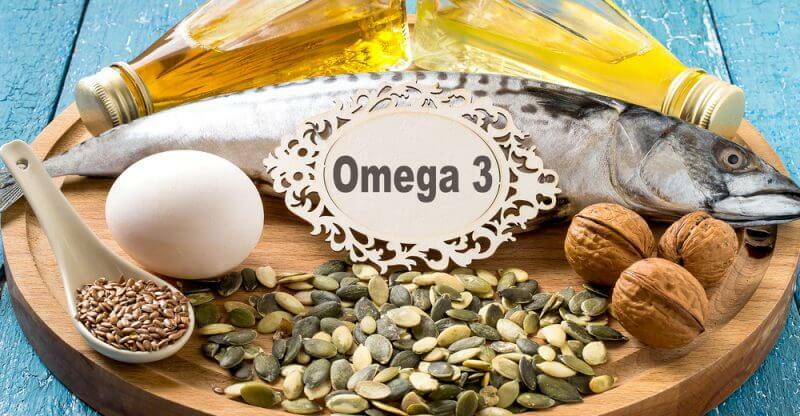 Many epidemiological studies provide evidence of the important role of polyunsaturated fatty acids (PUFAs) such as u-3 fatty acids (u-3 FA), which include a-linolenic acid, eicosapentaenoic acid and docosahexaenoic acid. It is with their help that the prevention and treatment of cardiovascular diseases is carried out. CIMT (carotid intima media thickness) is an early marker of atherosclerosis and a predictor of cardiovascular risk: the higher the cIMT, the higher the risk of cardiovascular disease. A number of cross-sectional studies have shown that u-3 FA is inversely related to cIMT. The intake of omega-3 fatty acids is due to the use of seaweed and seaweed fish. It is shown that it is enough to consume more than 4 servings of fish per week so that cIMT is lower than when consuming less than 4 servings of fish per week. arterial wall by reducing the production of proinflammatory cytokines in monocytes or macrophages. This reduces the number of inflammatory leukocytes in the arterial wall. In addition, the chylomicron residues are rich in saturated fatty acids compared to u-3 FAs that are rich in rapidly absorbed cultivated macrophages. Their excess leads to an intensive accumulation of lipids in the vessels. Free radicals are electrically charged molecules that seek and capture electrons from other substances to completely neutralize themselves. Although the neutralization of free radicals occurs at the beginning of the attack, another free radical forms in the process, which leads to a chain reaction. The term "antioxidant" refers to any molecule capable of stabilizing or deactivating free radicals before they attack the cells. 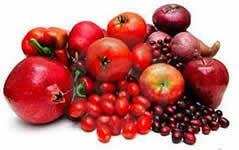 These include antioxidants derived from dietary foods such as ascorbic acid, vitamin E, carotenoids and polyphenols. Vitamin E is a group of eight isomers that differ in the nature of the methylation of the hydroxychromanol ring and the saturation of the side chain. According to studies, alpha-tocopherol is the most active isomer in the vitamin E group. 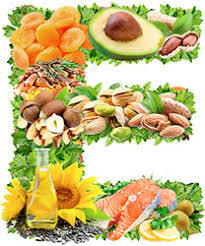 Some tests show that vitamin E intake can prevent cardiovascular disease. Other studies provide evidence that vitamin E supplements do not reduce the incidence of heart and vessel damage. Yet, while it is impossible to conclude that vitamin E consumption is ineffective as a primary prevention. stimulates the synthesis of extracellular matrix. into a five-membered heterocyclic lactone ring that provides antioxidant properties. Sources of vitamin C are fruits and vegetables, especially citrus, such as guava and oranges. Studies have shown that supplements with 500 mg of vitamin C / day lead to a lower risk of cardiovascular disease.Therefore, higher doses of vitamin C are needed to provide a protective effect. 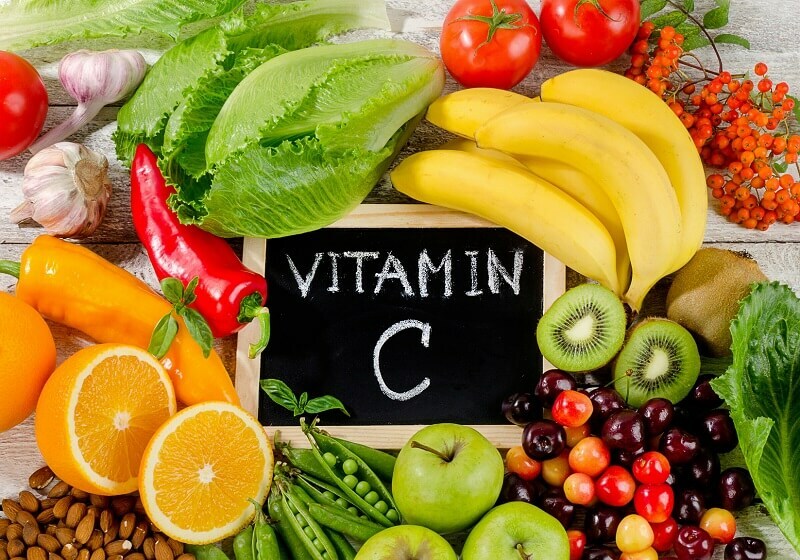 Also, a recent meta-analysis showed that vitamin C supplementation improves endothelial function in patients with atherosclerotic lesions and heart failure. suppresses proapoptotic activity with congestive heart failure. 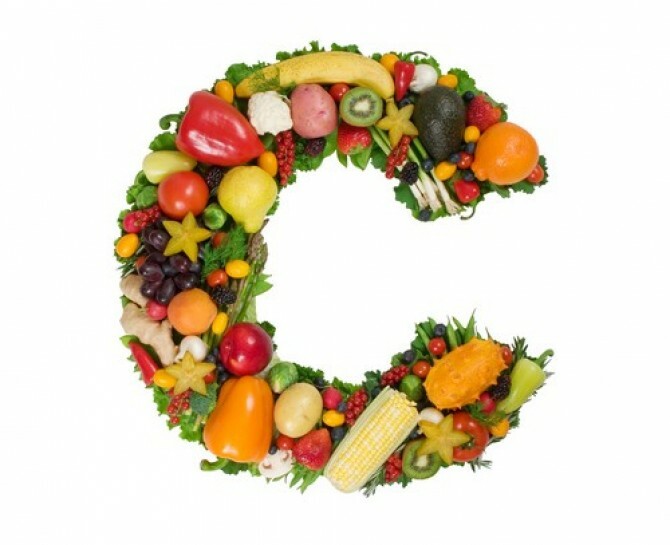 In addition, vitamin C stimulates all kinds of collagen synthesis. On the other hand, vitamin C protects the endothelium of the vessels from oxidation. Lycopene is a carotenoid that is found in tomatoes and tomato products. Lesser sources of lycopene are grapefruit, watermelon and papaya. The bioavailability of the substance increases during cooking, especially in the presence of butter or other fats. Several studies reported that the level of whey or tissue lycopene was inversely proportional to the thickness of the intima wall or damage to the carotid artery and aorta. On this basis, it is supposed that lycopene can protect against the development of atherosclerosis. Potential anti-atherogenic role of lycopene is mainly due to its antioxidant capacity, which is associated with the prevention of LDL oxidation. Another possible mechanism observed during the reduction of intracellular cholesterol with the help of lycopene is the reduction of cholesterol synthesis by inhibition of 3-hydroxy-3-methylglutaril and inhibition of cholesterol acyltransferase activity. 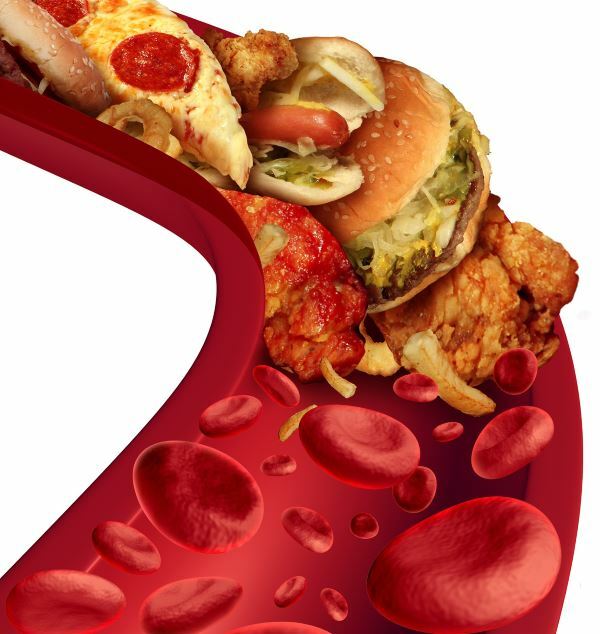 Atherosclerosis is one of the most important risk factors for the development of cardiovascular diseases.Pharmacological strategies are often used to reduce or prevent the development of atherosclerosis, but the right diet is also important. Nutrients as saturated fatty acids and trans-fatty acids, among others, are associated with an increase in the development of atherosclerosis. On the other hand, nutrients such as soy, omega-3 fatty acids, some vitamins and polyphenols reduce or attenuate the appearance of atherosclerotic lesions. The activity of these compounds is associated with a decrease in the inflammatory response, an increase in the antioxidant capacity to prevent the oxidation of LDL particles, leukocyte migration, molecular adhesion and lowering blood pressure.